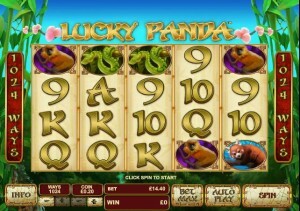 Lucky Panda’s theme is indeed inspired by the famous Panda Bear that is a symbol of China. The entire game is inspired by the wildlife from the bamboo forests which also house the Pandas, so there are quite a few interesting creatures which appear in the symbols. 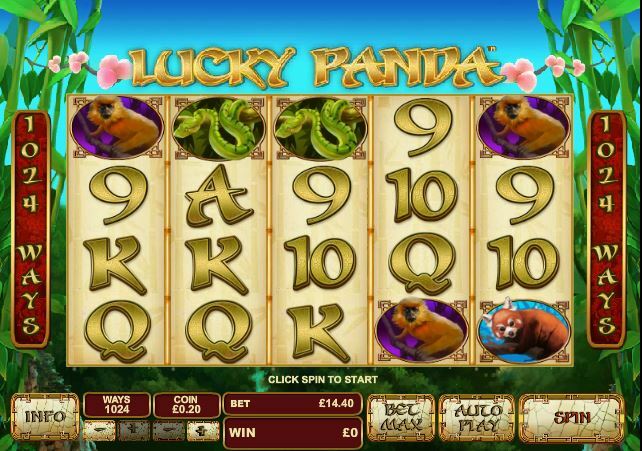 Designed by Playtech, Lucky Panda has a Chinese inspiration that is clearly visible and which is unavoidable when you choose one of the country’s greatest sources of pride as a theme. With 5 reels, the game has managed to use 1024 ways to win on them. Scatter symbols with second chances and with free spins and multipliers, wilds and the AllWays system, these are the things that the developers included among the features. You can also get paid up to $400,000 cash.